Telluride Arts’ HQ gallery in Telluride, Colorado presents work by Patrick E. Felsenthal, a writer, filmmaker, musician, graphic designer and artist. He releases music best described as art rap under the name Apoc and creates art and design pieces as PFels. On October 5th he will be launching a show at the Telluride Arts HQ Gallery that incorporates both of these projects. Apoc’s newest music video, Hurricane Goddamn! will be premiered in the US during the October 5th Art Walk. Props, costumes, and storyboards from the production will be on display throughout the exhibition. 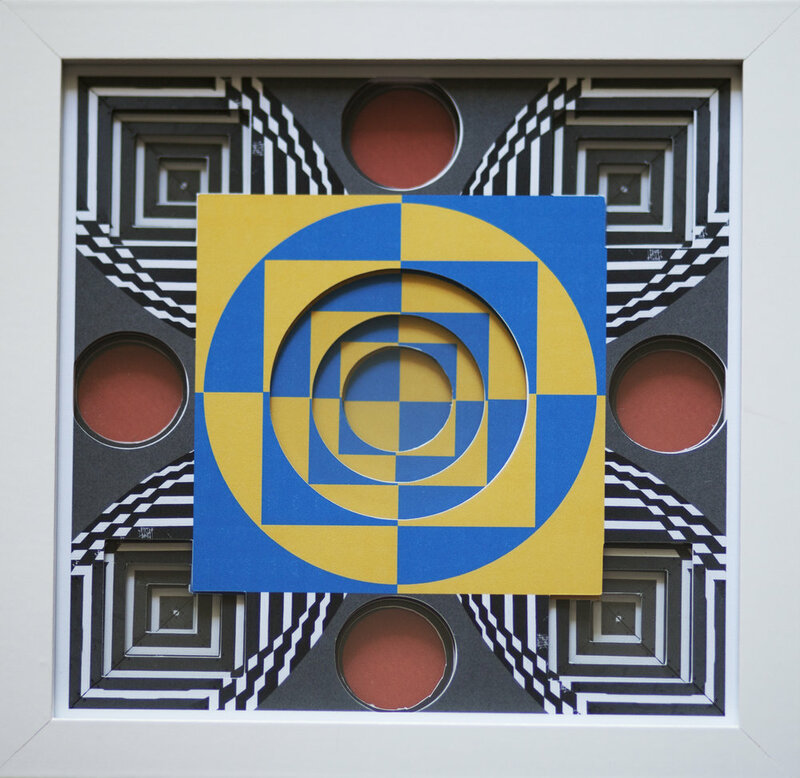 Also being featured will be Optalgia, a mixed-media body of artwork by Pfels. The Art Walk opening reception will be held Thursday, October 5, 5-8 p.m.
A psychedelic journey through a world somewhere between George Melies’ A Trip To The Moon, Jim Henson’s The Dark Crystal, and 1960s and 70s sci-fi television, Apoc’s Hurricane Goddamn! 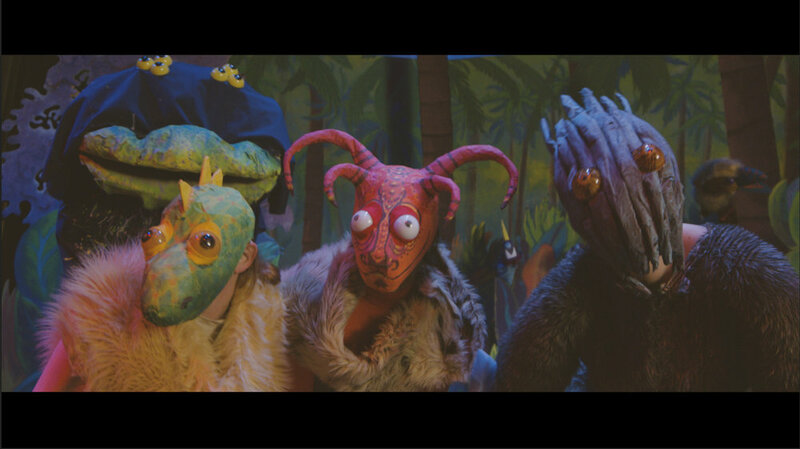 is a wild music video where outlandish woodland creatures must battle a dangerous and fast approaching smog planet. The striking visuals draw inspiration from the song’s lyrics concerning the aftermath of a hurricane amplified by the effects of climate change. Directed by Scott Upshur with production design by Keith Price and costume design by Shoe Eck, the music video had its world premiere at the 2017 Raindance Film Festival in London Sept. 23rd and will be screening at the 2017 Indie Memphis Film Festival in November. The video was funded in its entirety via a Kickstarter crowd-funding campaign and was created in collaboration with a community of artists and creatives here in Telluride. The video will have its US premiere on Oct. 5 at 8pm at the HQ Gallery. Props, costumes, and storyboards from the production will be on display through Dec. 4. A true American independent, director Scott Upshur has been forging new cinematic trails from the cultural (and literal) wilderness of far-flung Telluride, Colorado for nearly a decade. Working in both the narrative and documentary fields, Scott has developed a style uniquely his own. 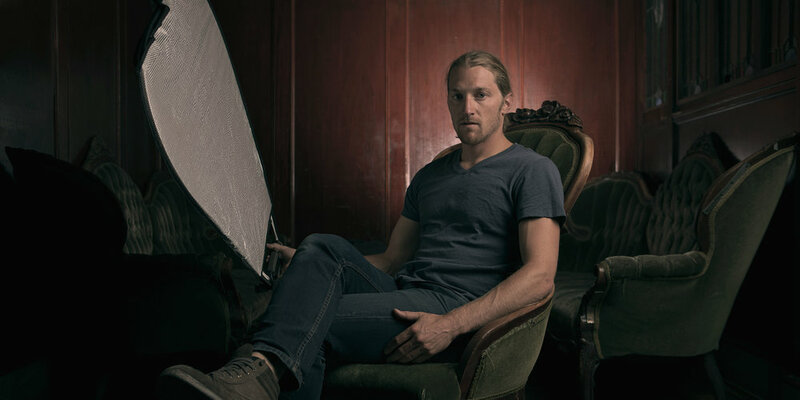 While his own films have screened at festivals all over the world, he’s also worked on acclaimed projects like Quentin Tarantino’s The Hateful Eight, Netflix’s The Ranch, music videos for Jack White, Mumford and Sons, and The Foo Fighters, and projects with photographer Annie Leibovitz, and artist Shepard Fairey. 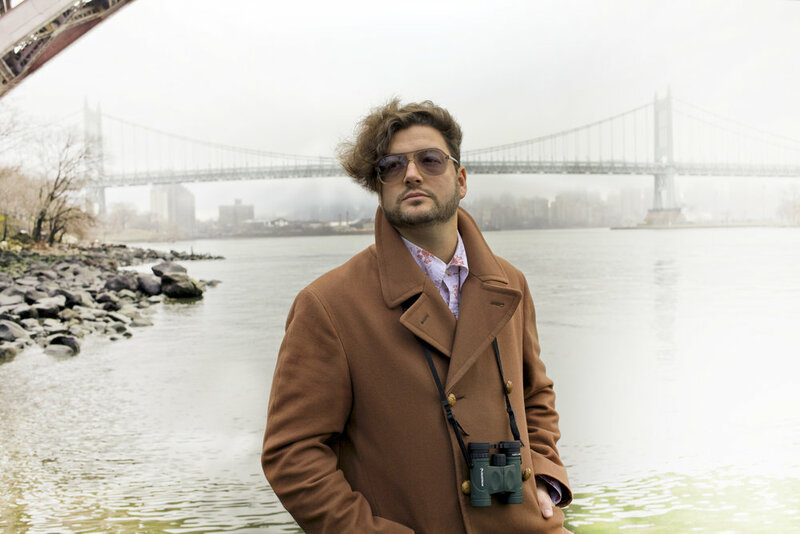 Apoc’s music, art, and journalism have brought him all over the world and afforded him the opportunity to perform alongside many heroes and esteemed contemporaries, from Slick Rick to Busdriver to Lupe Fiasco. His music’s been featured on TV shows like MTV’s Jersey Shore and earned him invitations to festivals like POP Montreal and NXNE. The song Hurricane Goddamn! is taken from his forthcoming album, Progress, We Exalt Thee. Context and perspective frame all human experience, visual or otherwise. Launched on the centennial of the October Revolution, Optalgia questions what the West sees when it looks East. Using the East/West dialectic as a platform, it explores not just what we see, but how we see. Often incorporating elements sampled from the physical world, the most recognizable digital designs of PFels have used details from twentieth-century product design of everyday objects and promotional items to construct patterns and symmetries that are striking and altogether new. His most recent work builds on this aesthetic and adds a sense of dimensionality and physicality to it. Starting out in the medium of graphic design, which seeks effective communication foremost, his work is interested in engaging in conversations with other cultures and epochs. 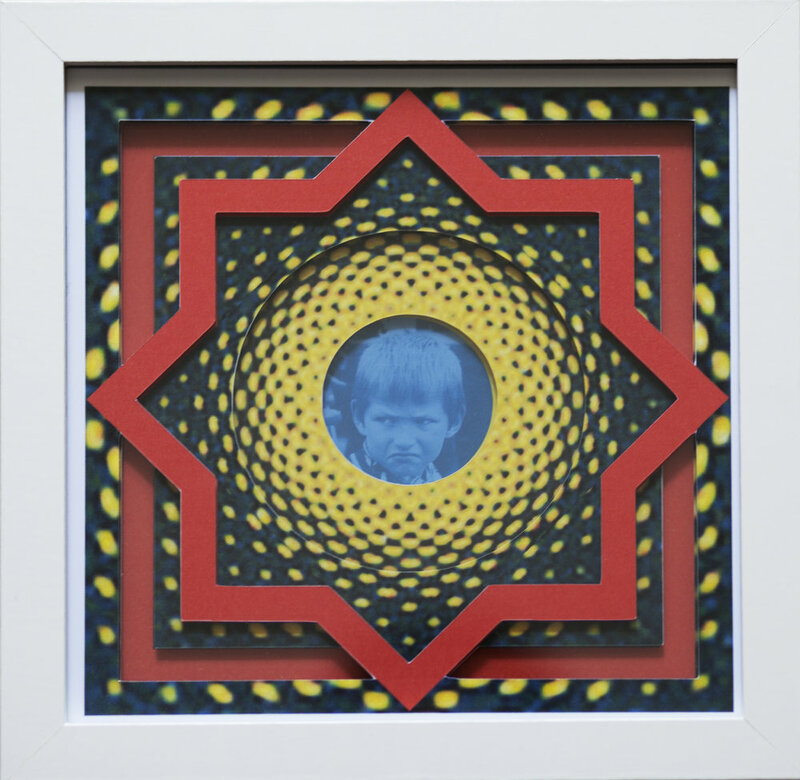 PFels seeks to create artwork that interacts with its audience. His work is greatly informed by travel, which has become an integral part of his life, having spent time in recent years living in Slovenia, New York, Michigan, and England. Originally from Chicago, he currently resides in South Florida but still calls Telluride home. He is a two-time recipient of Telluride Arts Small Grants for Artists and former Telluride resident. The show runs through October and November 2017 at Telluride Arts HQ Gallery, located at 135 W Pacific in Telluride, Colorado. Open daily from 12-6pm or by appointment.